At AllPro Painters, what defines us is our professionalism. All Professional Paint Jobs™ isn’t just our tagline, it is what we want you, our cherished customer to judge us by. From your first call to our office, when we pull up to your house in a wrapped vehicle for your appointment, when our painters arrive at 8 am sharp to start covering and prepping for paint, when the superintendent walks the job with you, to the final touchup and signing of the check, we want you to feel you were in the hands of professionals from start to finish. Throughout the Las Vegas, NV valley – from Henderson, NV’s Green Valley, Sun City, Anthem, Seven Hills, Silverado Ranch & Lake Las Vegas; Dragon’s Ridge, Queens Ridge, Summerlin, Mt. 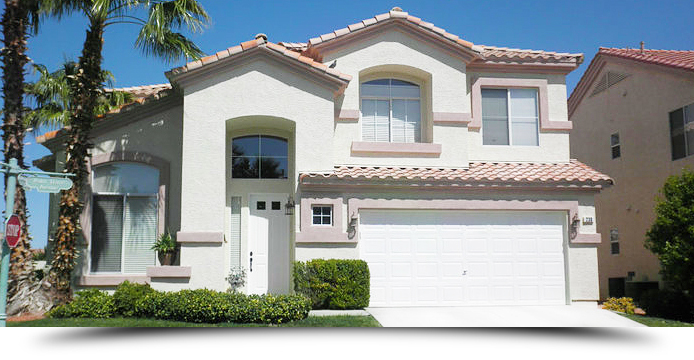 Charleston & Centennial Hills; to North Las Vegas, NV’s Aliante & Eldorado Ranch, you want a professional, licensed painting contractor who will deliver a high quality paint job despite any challenges that may arise during the construction process. Our primary focus at AllPro Painters is to retain 100% customer satisfaction. Our Las Vegas painters are guaranteed to be knowledgeable, skilled, confident professionals and capable of producing quality paint job every time. Your satisfaction is our priority, and our goal is to exceed customers’ expectations on every painting job we complete. The management team has a combined 100+ years in the business of painting, framing and drywall. Allpro Painters has been providing painting services to houses and business for over a decade, completing more than 40,000 painting projects. We hire only the best painters in the Las Vegas area and use high-quality products to complete your paint job – all at a price you can afford! Call us today for a free, on-site house painting estimate! We use computerized, unbiased estimating software to provide you with an immediate written estimate that we stand by. Your quote will be broken down so you can see exactly where each dollar is going. We promise to complete your interior or exterior painting job on budget. Contact us today to learn more about how the most professional Las Vegas painting contractor can help with your next painting project!